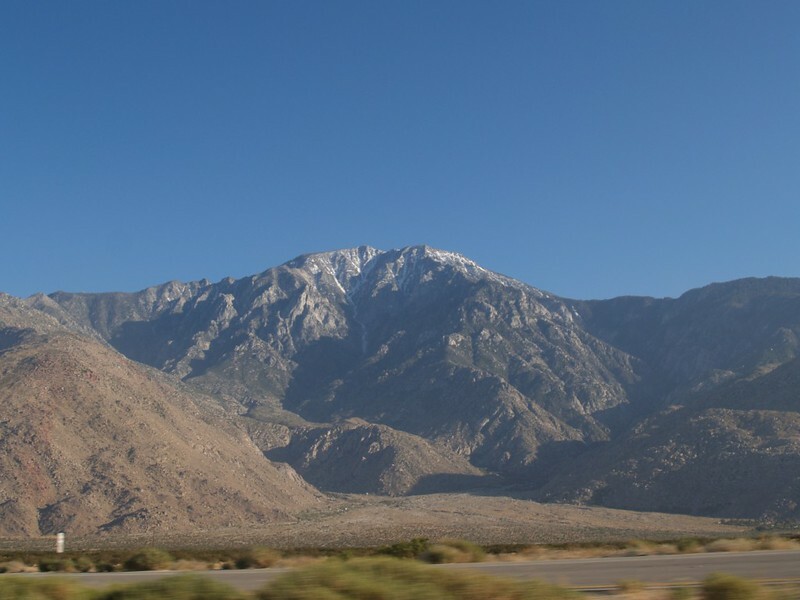 We drove to Palm Springs and took the tram up to the forest, and backpacked to Tamarack Valley. We hiked up the Sid Davis Drainage as a shortcut, and didn’t see anyone else the entire day. 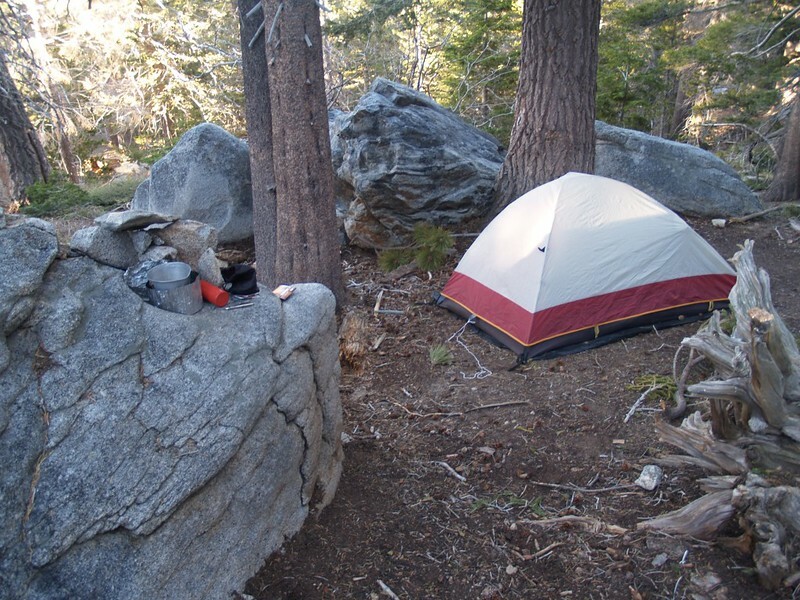 We set up camp at the tiny campsite, Diorite, the furthest one uphill in Tamarack Valley. 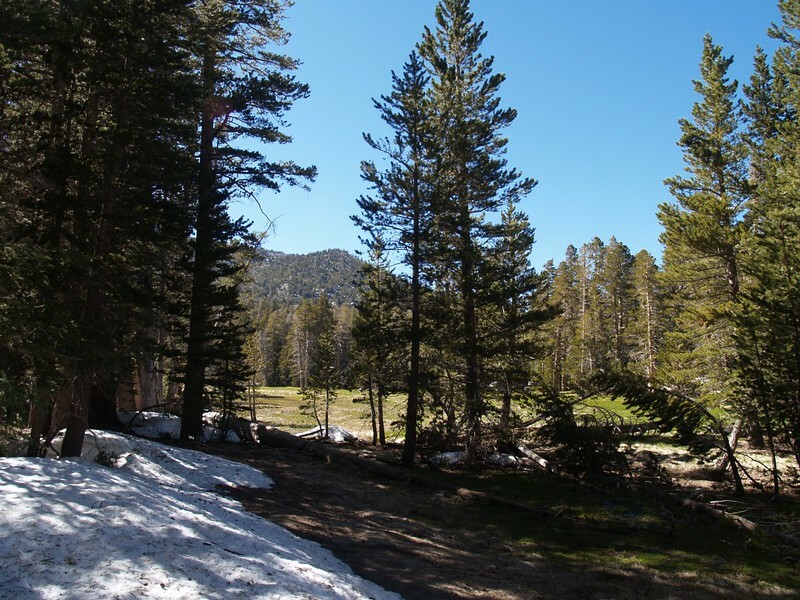 Luckily, there were only a few patches of snow left on the ground here and there, with plenty of space for tents. What a relief! However, the weather service said to expect 20-30 mph winds with 45 mph gusts for the next several days. Once again, we lucked out, as it wasn’t anywhere near that bad below the trees in the valley; a gust would only reach the ground every ten minutes or so, and the wind was simply a mild breeze. For once the weatherman got it wrong! 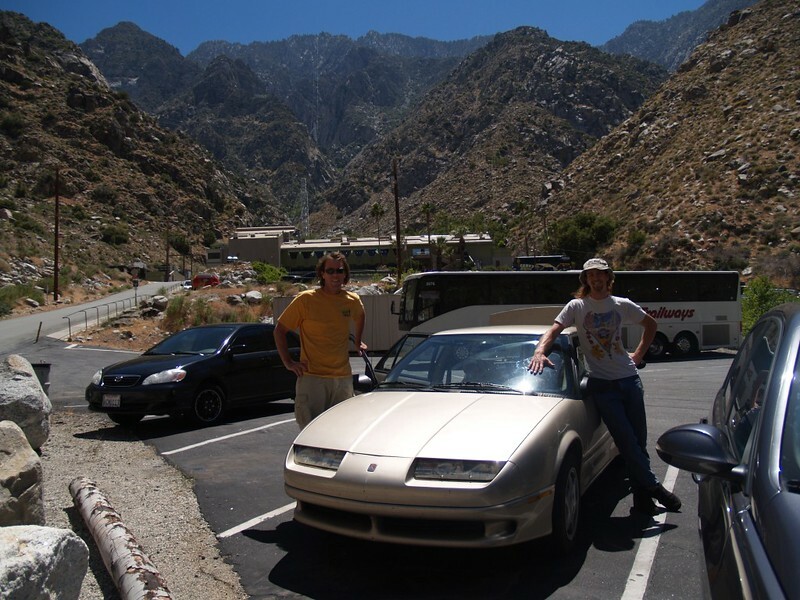 In the Palm Springs Tram parking lot, getting ready to board our elevator to the high country. The beginning of the Round Valley Loop Trail. We’ll be heading to the right. This huge rock looks like a giant whale. It marks the beginning of the trail up the Sid Davis Drainage. Video of the stream flowing well in the Sid Davis Drainage, thanks to the snow melt from above. The final steep grind out of the drainage and into the lower Tamarack Valley camping area. 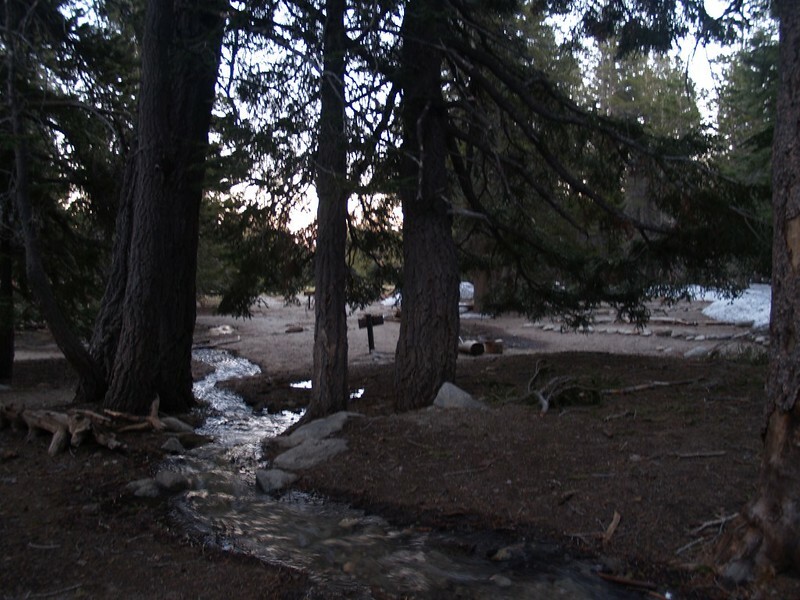 Diorite campsite in Tamarack Valley. We got the tents set up right away so that we could go out and have fun until dark. As there was plenty of daylight left, we headed directly uphill from the campsite and bagged Cornell Peak. 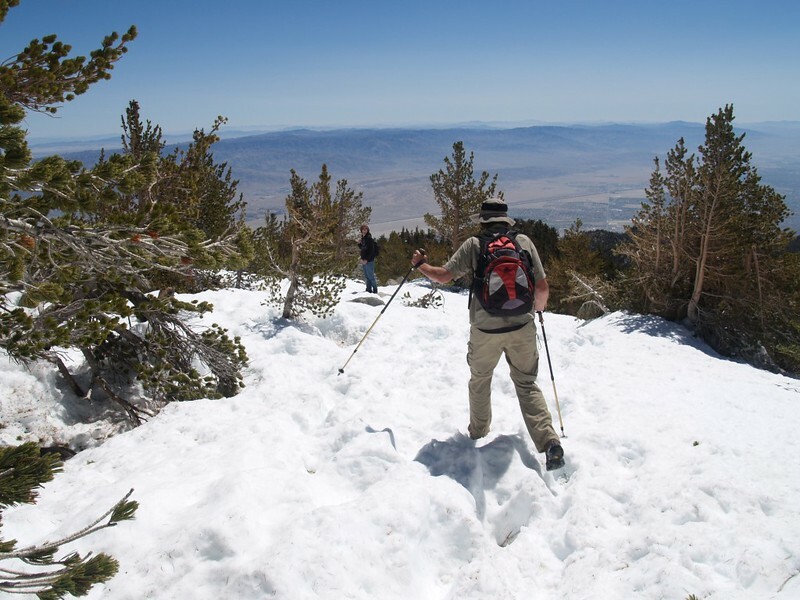 It was an “interesting” hike, as the use trail up to the summit goes around the north side of the peak and is extremely exposed; naturally, this was where a nice drift of crunchy snow was waiting for us. The wind was also howling up there on the exposed ridge. 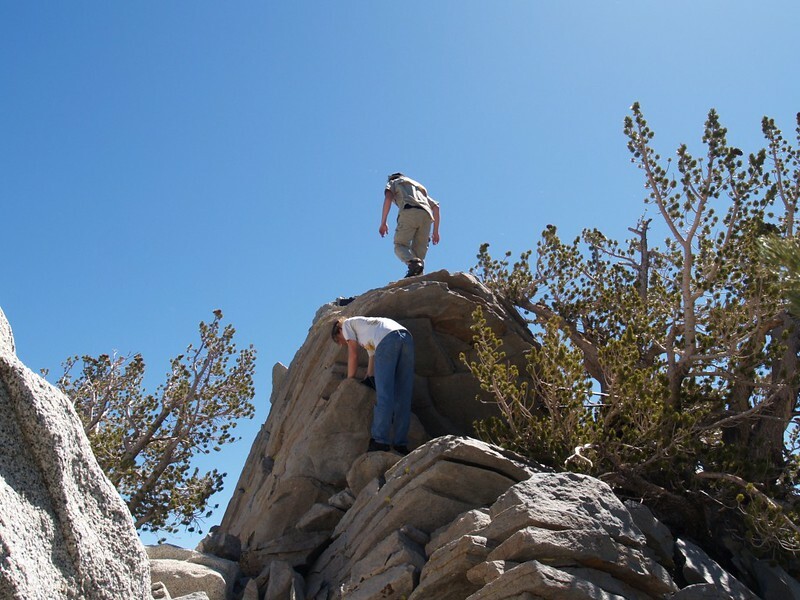 Still, it was more scary than dangerous, and we reached the summit register without a problem. My son, who enjoys heights, clambered right up to the top of the class four summit block. But no way was I going up there. I shouted up to him “You forgot the camera!” So he came back down, grabbed my camera, and flew back up. He was having a great time. 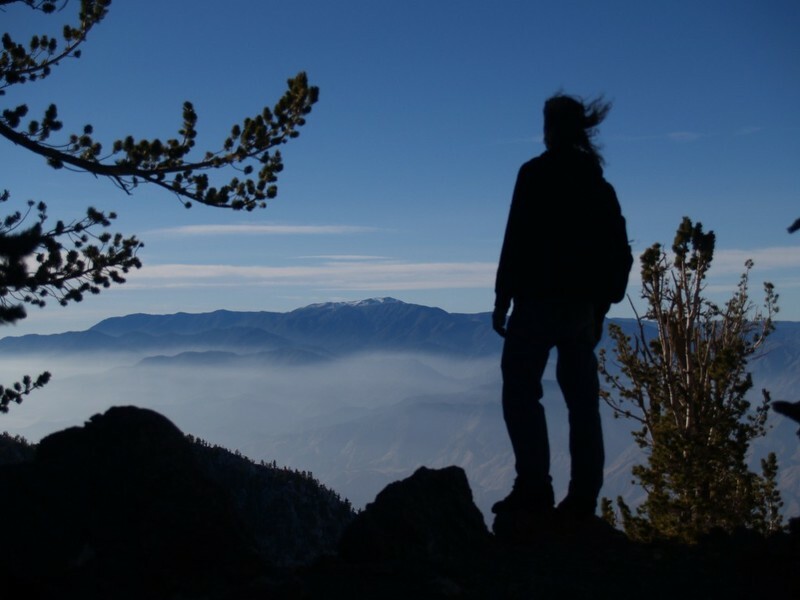 There were low clouds streaming in through the pass below snowy San Gorgonio, and it was beautiful. It had been at least six months since I’d been at high elevation, and once again I was amazed at how blue the sky is when the air gets thin. Gorgeous! My brother and I found a less-windy spot behind a boulder and stared out to the south, happily mesmerized. We could even see the Laguna Mountains far away in San Diego. 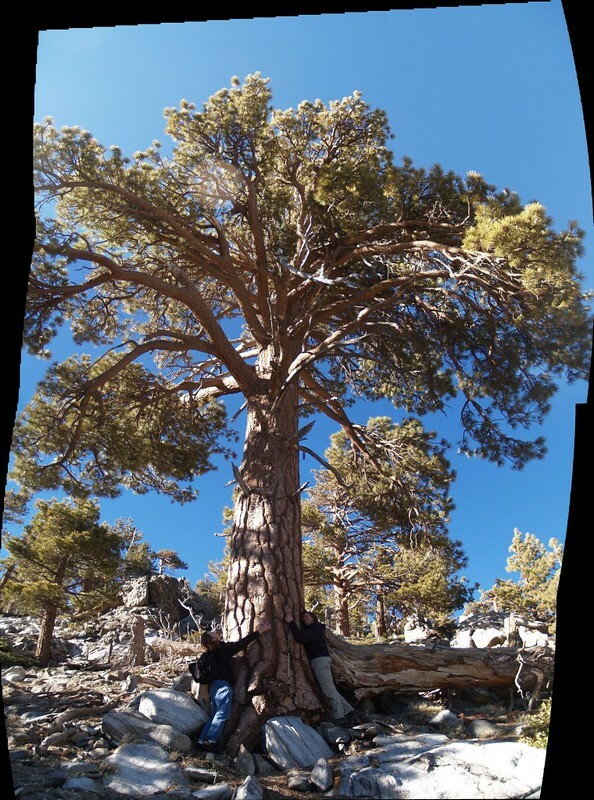 Two tree huggers shamelessly groping this beautiful tree. My son on the saddle just east of Cornell Peak. 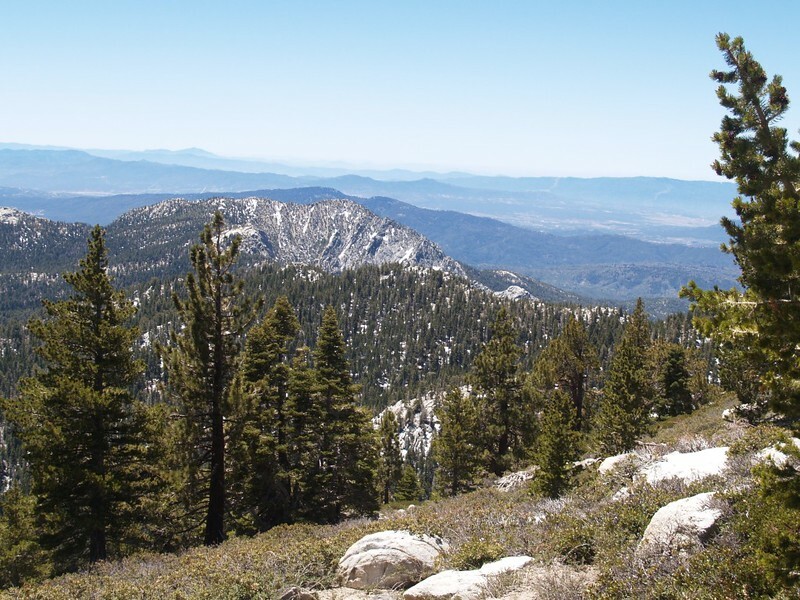 San Gorgonio Mountain is in the distance. This is the view from where my son was standing. Falls Creek Drainage is down below. 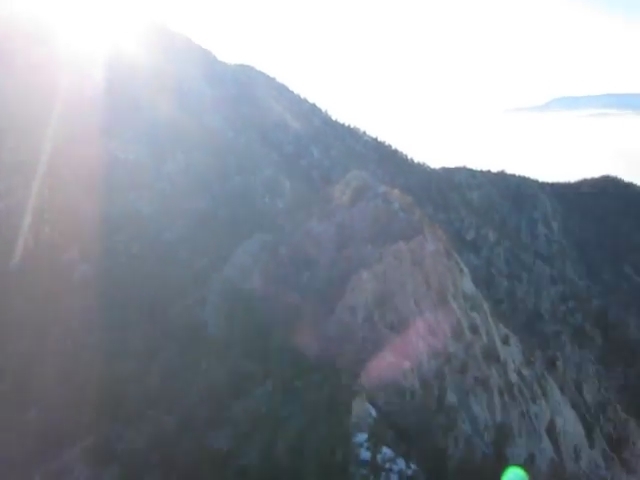 Video form the side of Cornell Peak: Swinging on a branch. With a view! Yet another view south from near the summit of Cornell Peak. That pointy shadow on the left is from the peak. Scrambling up to the Class 4 summit block of Cornell Peak. Panorama video from the summit block of Cornell Peak. The sun is shining over Miller Peak, and the exposed side leads down into Falls Creek. 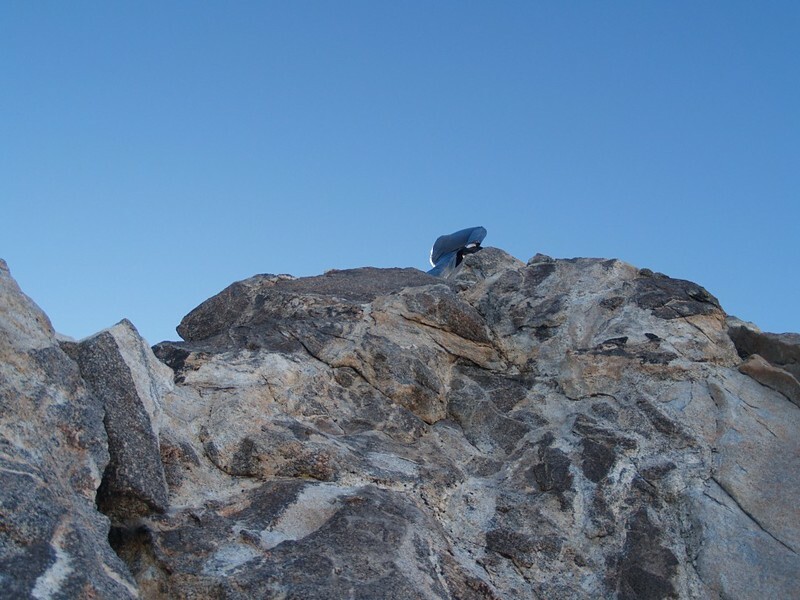 The summit block of Cornell Peak. Hiking back along the icy exposed north face of Cornell Peak. 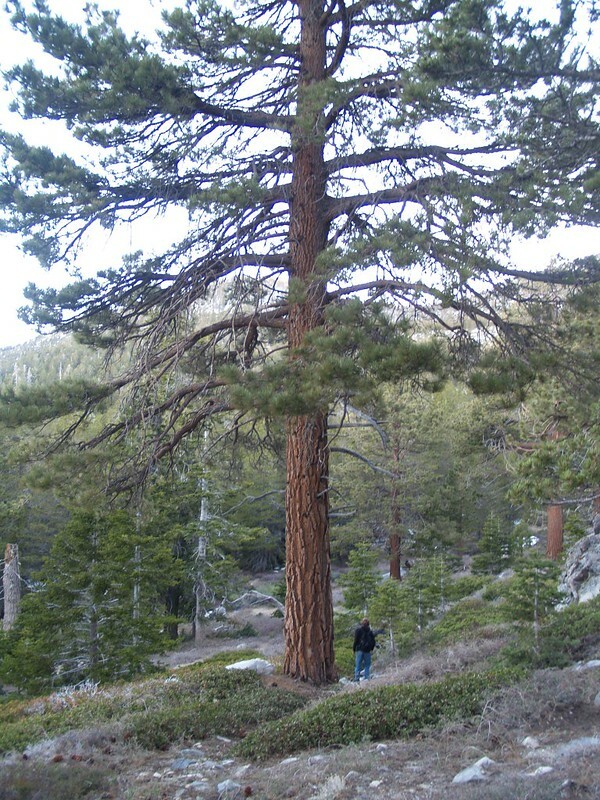 Huge tree on the southern slope of Cornell Peak. 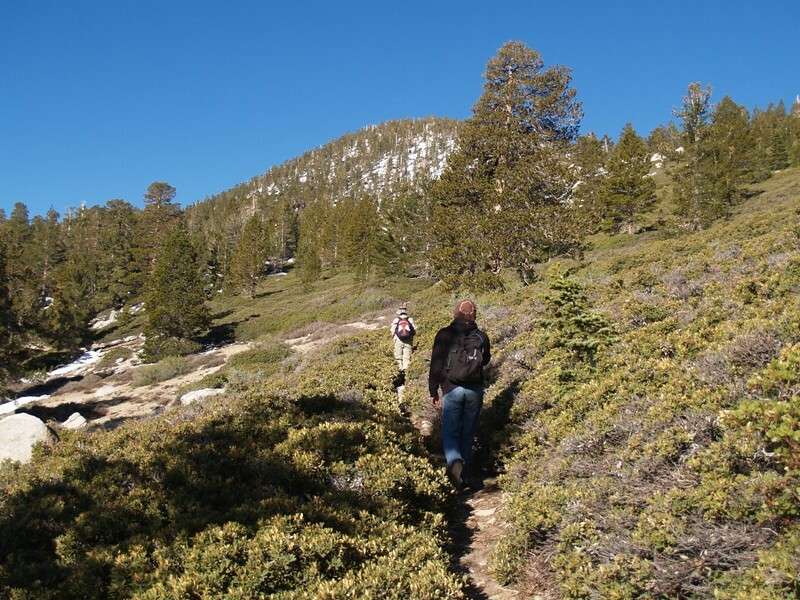 We hiked back down, grabbed our water bottles, and headed for the spring at Round Valley. The sign-in map only showed one other group camping that night. But the most interesting thing was the new plumbing at the spring. They’ve got some clear plastic tubing taking some of the water down across the meadow; I didn’t follow it all the way, not wanting to stomp through any fragile areas if I could help it. Just the same, the spring was running great, faster than I’d ever seen it, hose or no hose. We filled up our containers and made it back to camp as it got dark. 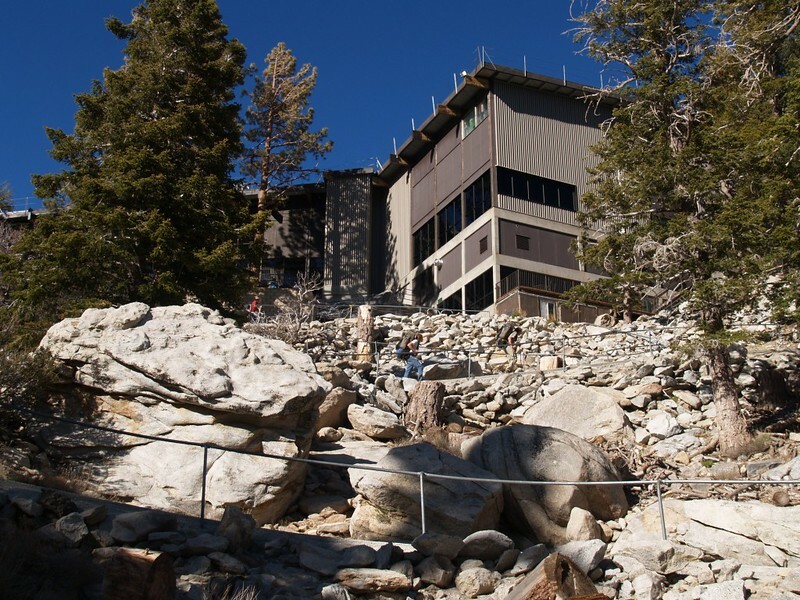 We ate dinner and went to bed, planning to wake up early to get to the top of San Jacinto before anyone else. The stream flowing into the Round Valley Meadow. 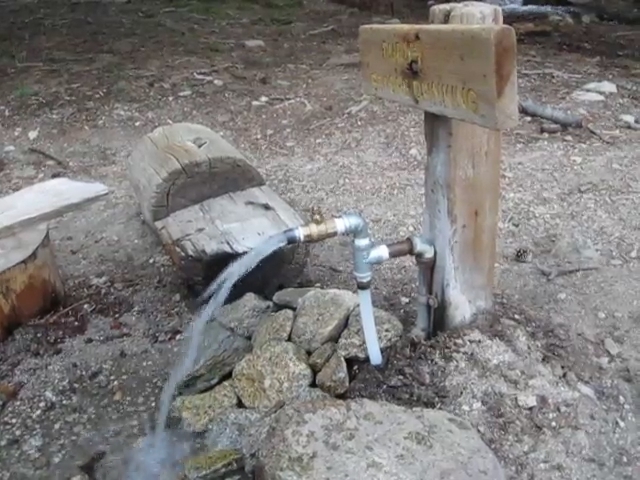 Video of the Round Valley Spring flowing well. It seems that new plumbing has been added since last year. Sunset in Round Valley. 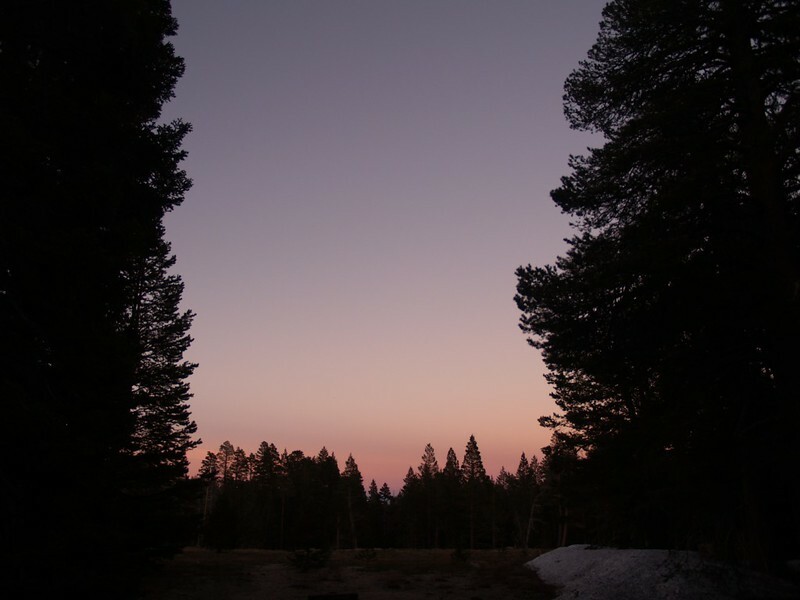 We had to hike fast in order to make it back to our campsite before the darkness was total. The next day, Friday, we got up early and boiled some water for breakfast. It was cool outside, in the upper forties, but it started warming with the sunrise. 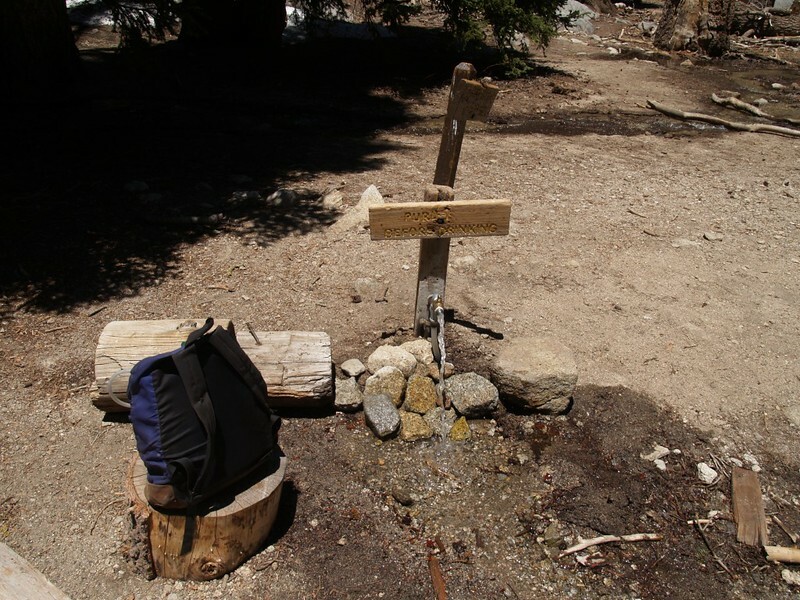 We got our daypacks ready and headed up the old, abandoned Tamarack Trial to the summit. Some parts of the trail were great, and other parts were extremely overgrown with chinquapin, but there was nothing a large pair of loppers couldn’t cure. Too bad we didn’t have any. The upper end of the trail was snow-covered, but this is where it peters out anyway. 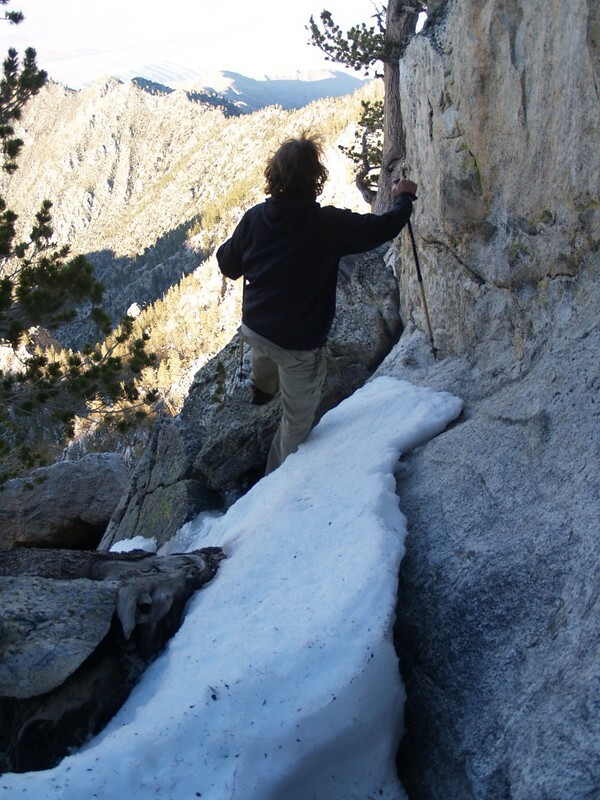 We hiked across the well-packed snowdrifts to join the main trail below Jean Peak. The main trail had little snow on this southeast-facing slope, and was soggy from continuous melting. We hiked upward in the sun, taking in the awesome views. 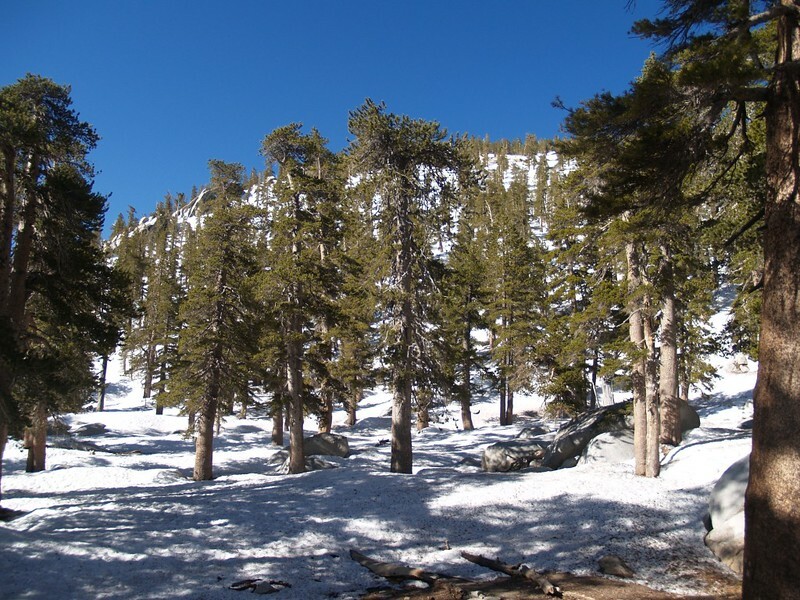 Once we reached the summit plateau, we discovered that the trail sign for the junction with the trail to Little Round Valley was under a snowdrift, and the trail to the summit hut was largely snow-covered. We had lunch in the hut, out of the wind, then headed off to bag the rocky summit. Only the highest boulders were showing; all the other rocks were under the snow. The wind was gusting up there, and the views were excellent, if a bit hazy. Shielded stove enclosure on the big boulder in the Diorite Campsite in Tamarack Valley. This is a less-overgrown section of the old Tamarack Trail. 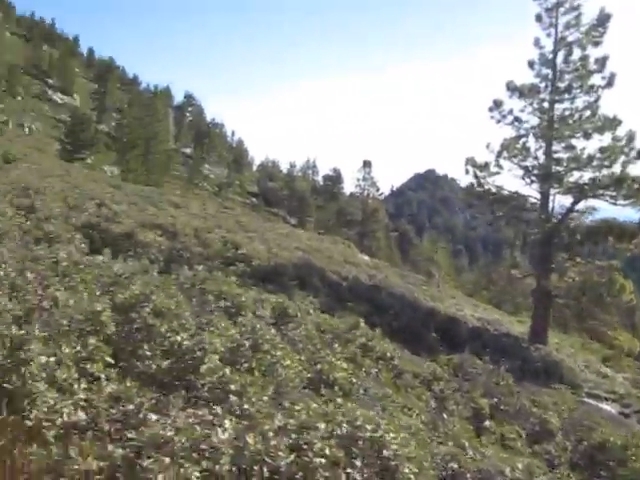 Video showing a stretch of the old Tamarack Trail that is in serious need of some loppers! Snow on the main trail just below Jean Peak. Panorama shot looking down at the snowy area below Jean Peak. The main trail above Miller Saddle, with Jean Peak in the distance. 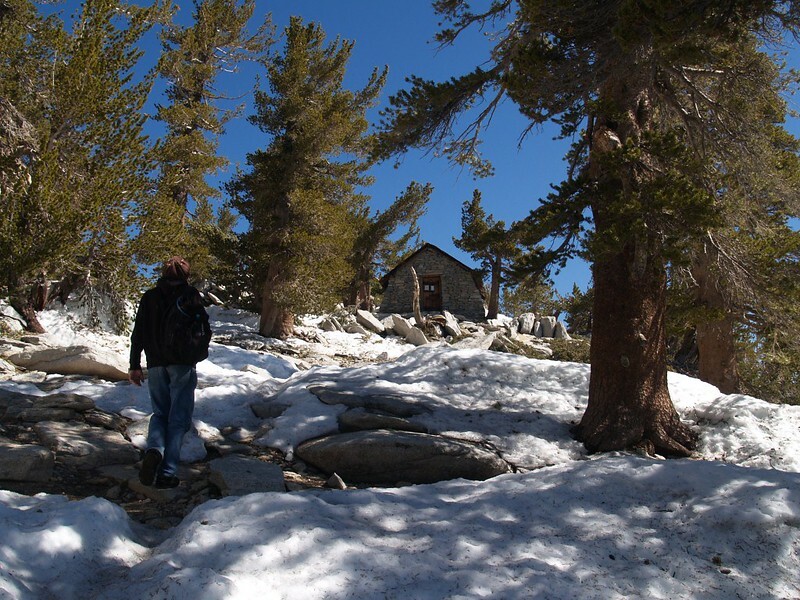 Crossing the patchy snow on the way up to the San Jacinto Peak Summit Hut. 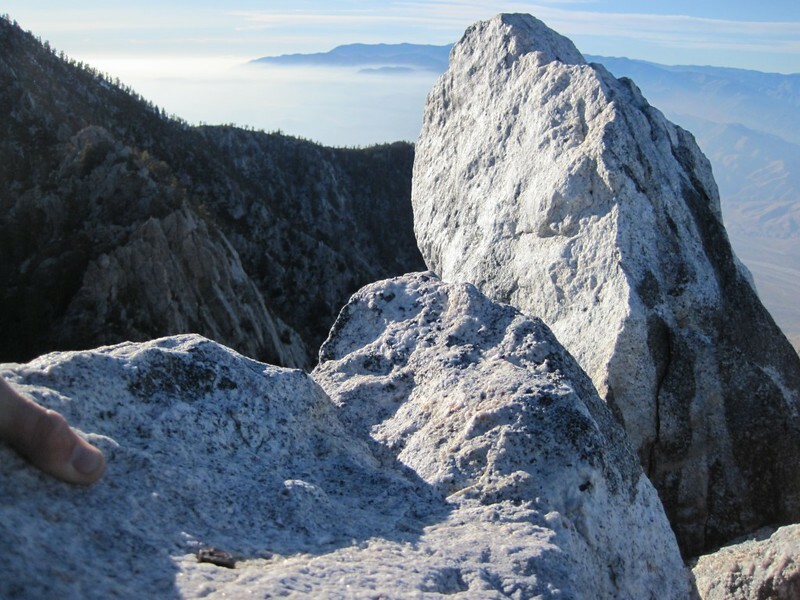 The summit of San Jacinto Peak. 10834 feet elevation. 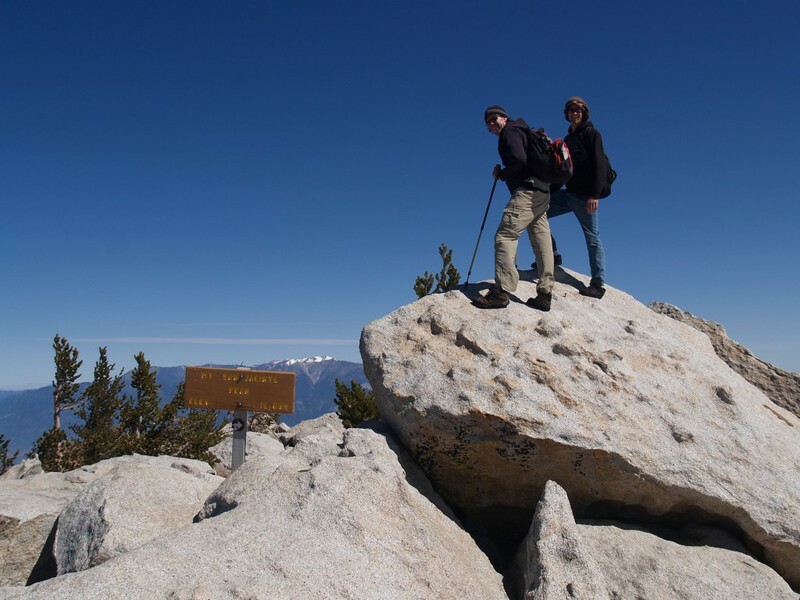 My brother and son on the summit of San Jacinto Peak. 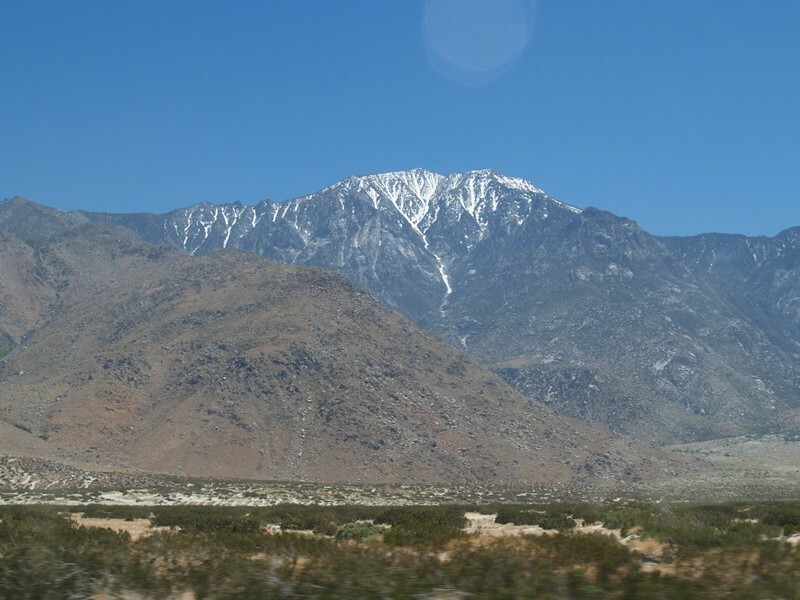 San Gorgonio Mountain is in the background. 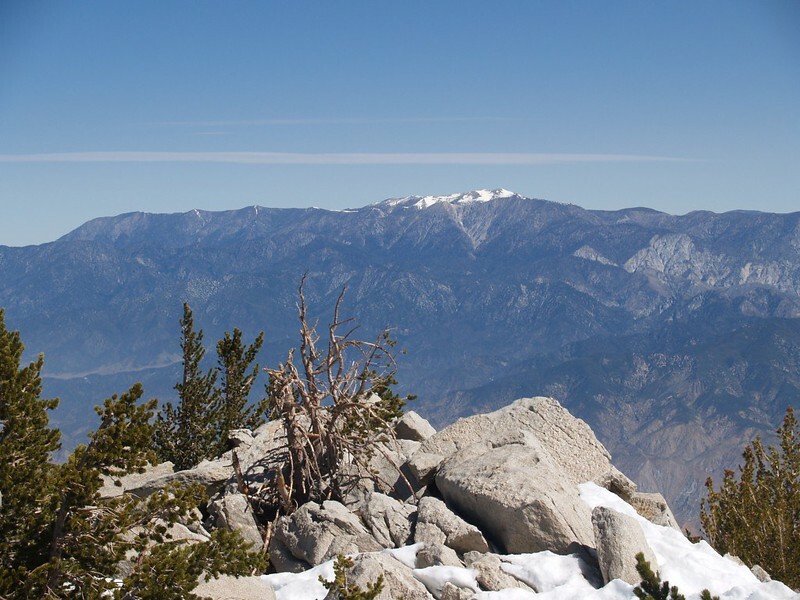 San Gorgonio Mountain from the summit of San Jacinto. 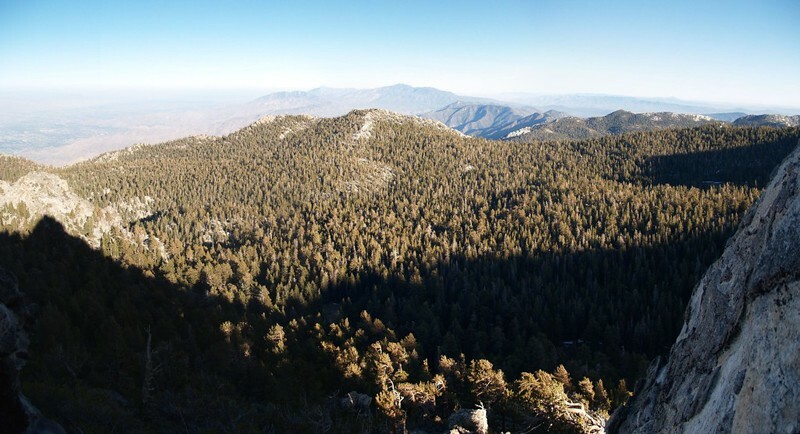 Jean Peak and Marion Mountain from the summit of San Jacinto. Newton-Drury Peak is the smaller bump on the right. We decided to bag Miller Peak on the way down. And, just to be different, we down-climbed directly along the ridgeline to Miller. We were boot-skiing almost the entire way. We hung out on Miller Peak for a short while, but it was too windy to stay for long. 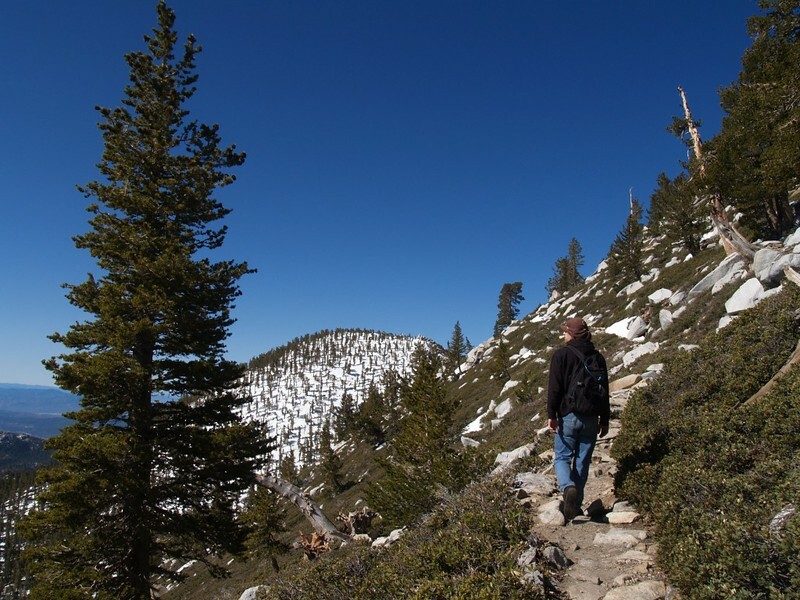 Heading down the ridge from San Jacinto Peak to Miller Peak. Lots of snow. 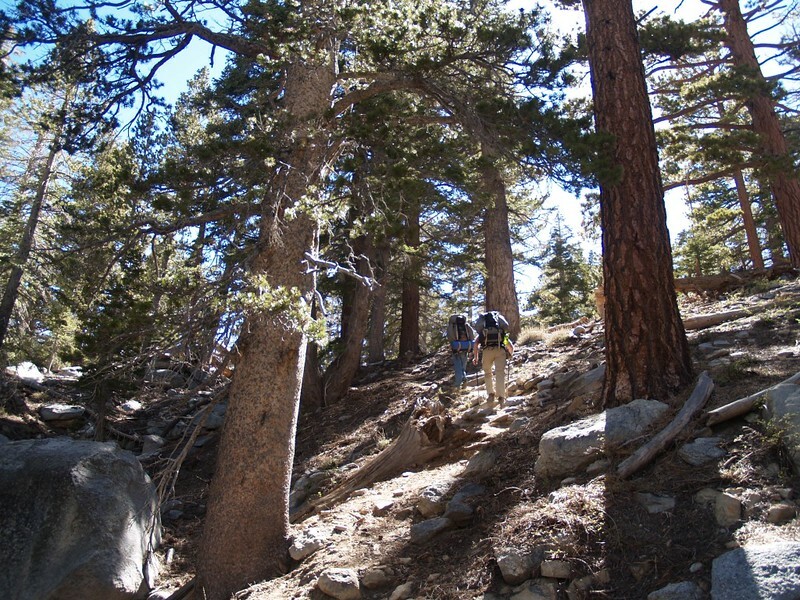 Heading down the ridge from San Jacinto Peak to Miller Peak. 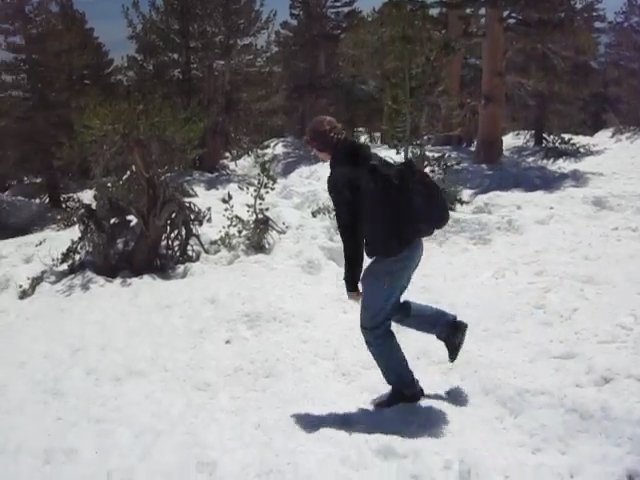 Boot-skiing video! 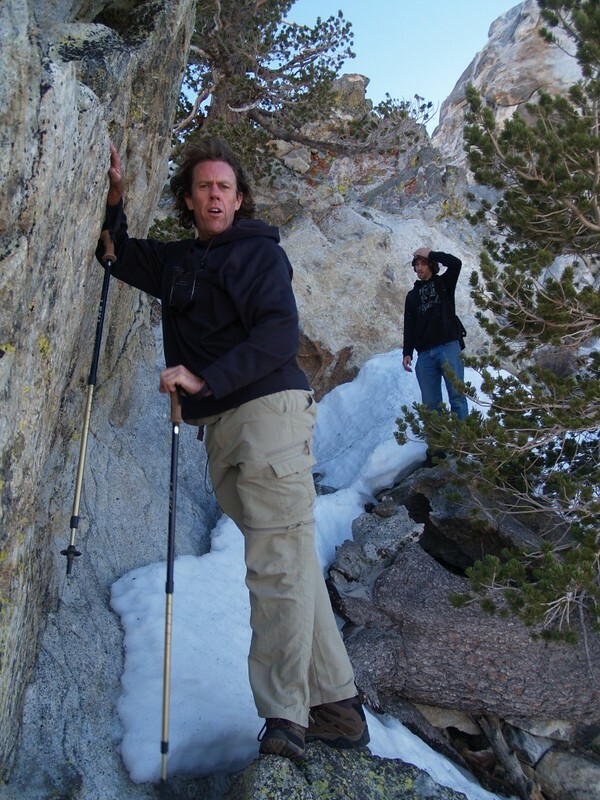 Climbing to the summit of Miller Peak. 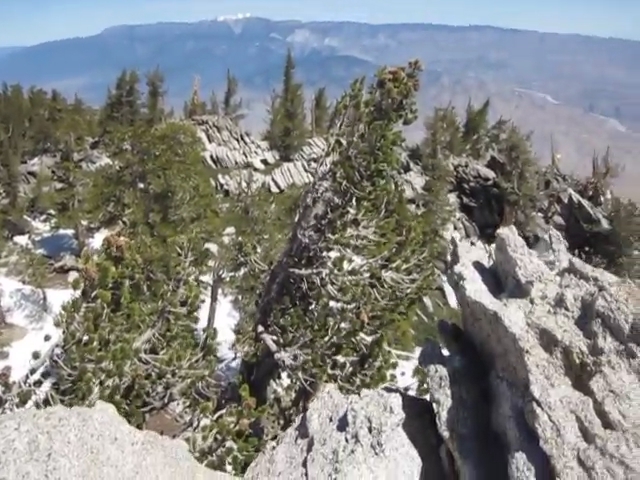 Panorama video from the summit of Miller Peak. After that, we headed down the main trail to Wellman Divide. 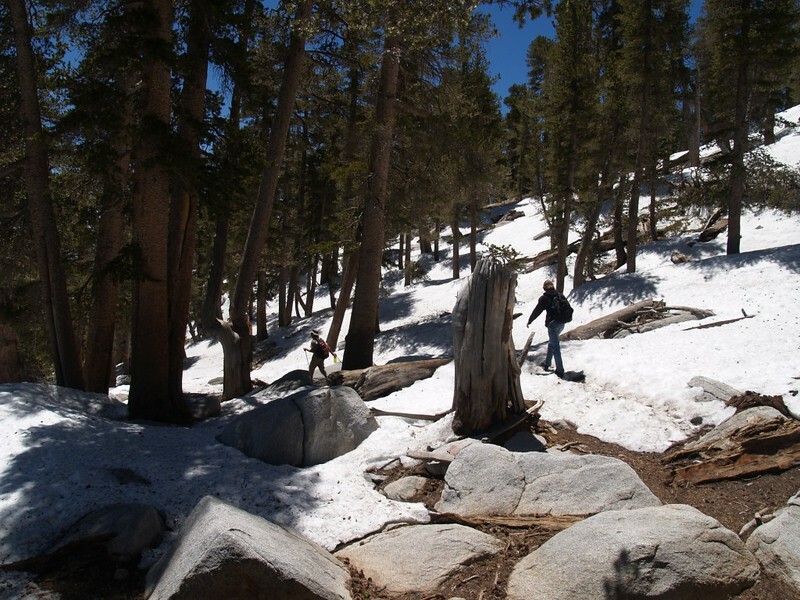 The trail was fine, except for some route-finding over snow in the area northeast of Jean Peak. Wellman Divide was excellent: Little wind and warm sun. We stayed there for at least twenty minutes, relaxing and gazing at the view. We were alone the entire time, which is another great reason for coming up during the week. On a typical summer weekend Wellman Divide is mobbed with people. Descending near Jean Peak. The trail wasn’t hard to spot as there were many well-packed tracks in the snow. Looking down toward Long Valley. Cornell Peak is on the left. The upper tram station is on the ridge right of center. 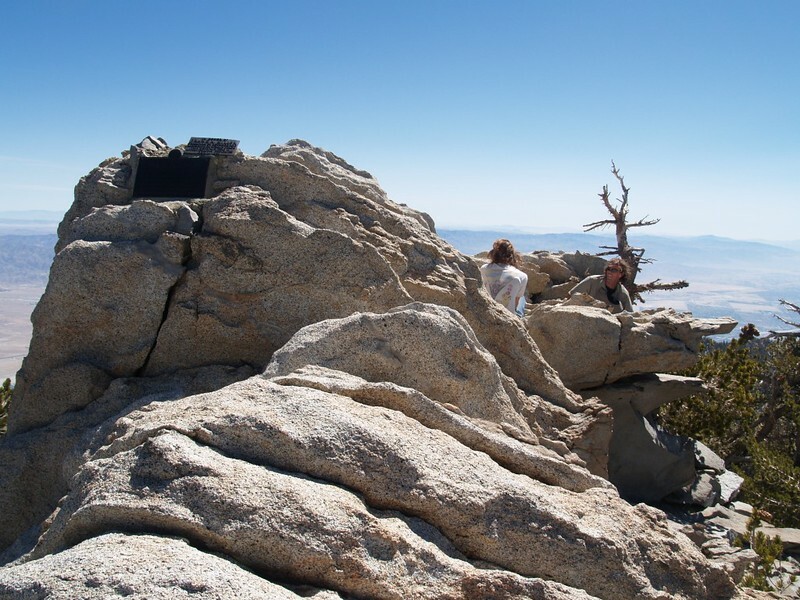 Beautiful day to sit around relaxing at Wellman Divide, Tahquitz Peak, center. 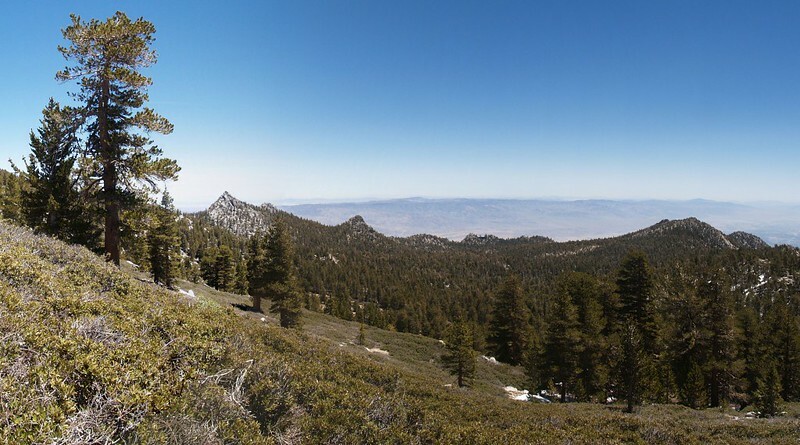 Panorama view south from Wellman Divide. You can see why people like to stop here! The trail back to Round Valley was also obscured by snow, but the snow was easy to avoid if you stayed on the sunny, left-hand (as you head downward) side of the stream. It was nice to see this stream actually flowing; in the summer it’s as dry as a bone. We reached Round Valley and immediately headed back to camp. We still had to pack everything up! A check of the time and some rough calculations led us to believe that a nice long nap would save us from Friday’s rush-hour traffic, and that’s exactly what we did. 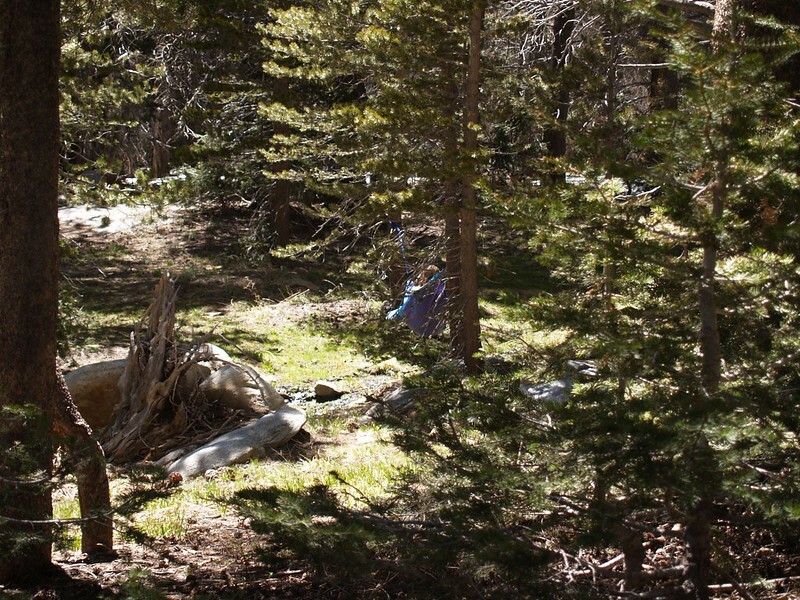 My son even set up a hammock in the sun over the small stream just below camp. It was great, but like all afternoon naps it had to end sometime. Back at the spring in Round Valley. 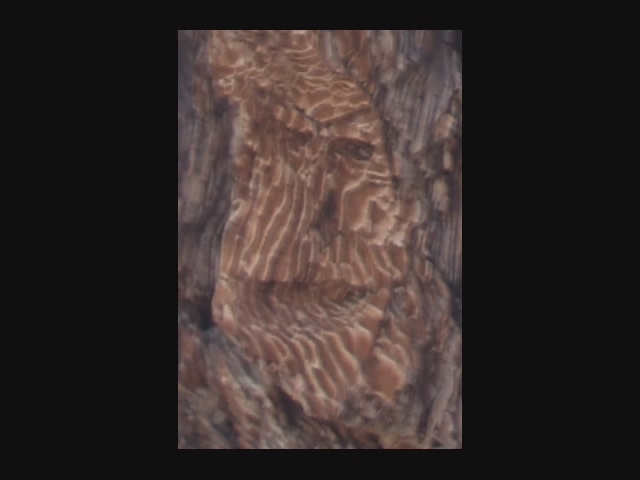 Video of my son climbing down a large tree that hadn’t quite reached the ground when it fell. He had climbed up there to throw a frisbee at my brother. Lounging in a hammock in Tamarack Valley. Another beautiful day to be in the wilderness. Eventually, we packed up and headed out via the main trail from Round Valley. I was hoping to discover where the spring’s new tubing went, but we never saw it. There was an “area closed” sign in the lower valley so I honored it, and never found the outlet of the hose. Still, my curiosity is unsatisfied and I find myself wishing that there were pictures or other info available online, but I haven’t found any. On the way down we met many backpackers arriving for the long Memorial Day weekend, and they were only a trickle in comparison to the hordes arriving on Saturday. 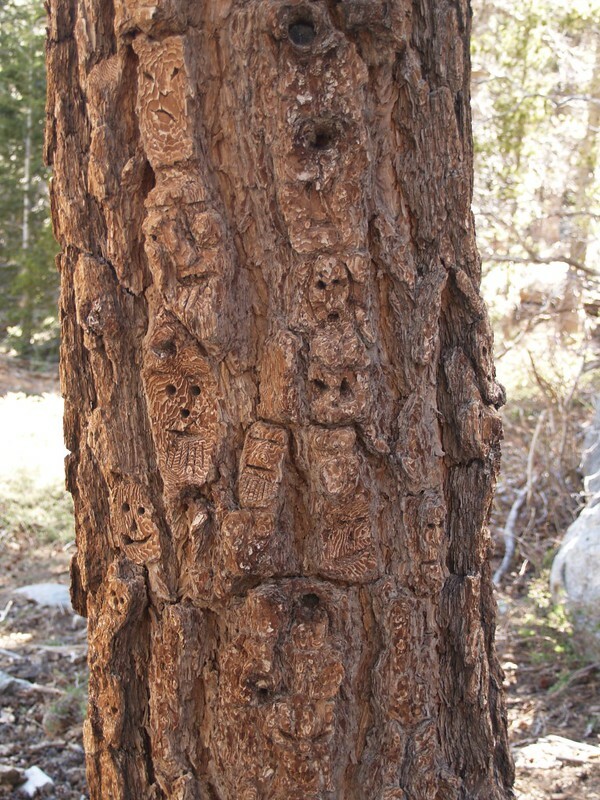 We wished them luck and hiked on. On the final cement switchbacks leading to the upper tram station. We made it to the tram and rode it down to the car. 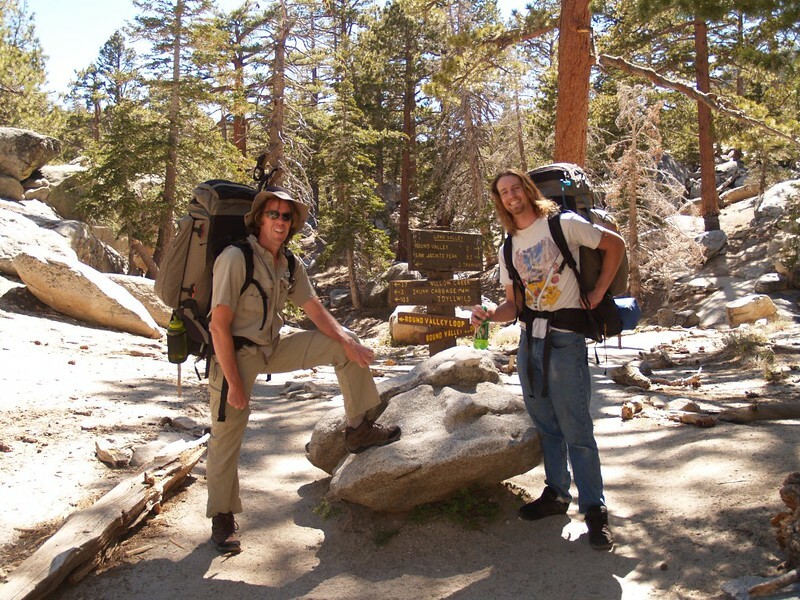 Our backpacking trip was over, unless you count a hot, hours-long car ride as backpacking. We’d hiked over 13 miles and bagged three peaks. We’d walked on a lot of snow and been buffeted by strong winds. The mountain was wetter than I’d ever seen it. 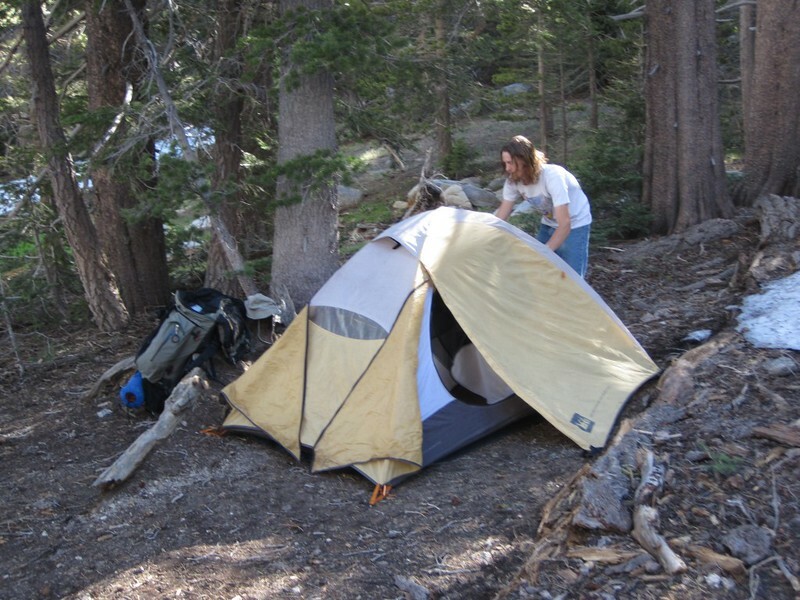 All in all, it was a great trip, and an excellent way to get started on a new series of backpacking adventures in 2011. To see even more photos from this trip, check out my Flickr Page. To view our GPS tracks on an interactive topographic map, see my Caltopo Page.